Adventures in food, marriage and the nation's capital. 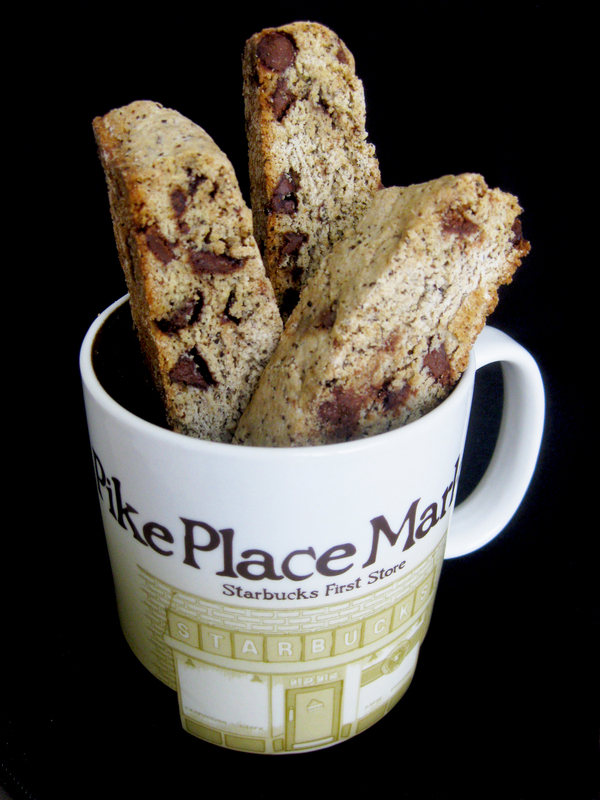 Coco-Coffee Biscotti… the absolute best, best, best. So, I’m Italian. Obviously. I grew up having sauce every Sunday, spending my Christmas vacation in the kitchen with my Mom, grandma and aunts making thousands of Italian cookies. However, I had yet to taste a biscotti – let alone make them – until I was about 18 years old. Crazy, right? For some reason, biscotti were never big in my family. Which, now to me, seems utterly ridiculous/horrifying. I started making them to give away as Christmas presents, since apparently OP’s 50 cent drafts at Bona’s took away all of my spending money. The first batch I made were a hit, and I wound up having to make additional batches because they were disappearing before I could even wrap them in red and green foil. So, now I’m the biscotti baker in my family. They are what I am proudly “known for,” which made my childhood cookie-making days of rolling dough too thin, always forgetting about/burning the last batch and my infamous 2nd grade attempt at substituting nutmeg for brown sugar seem all the more worthwhile. Even my mom and grandma, the queens of cookies, won’t dare to take on the task of these twice-baked wonders. I’ve made all kinds of biscotti since that first batch many years ago – from pistachio, white chocolate & craisin, pina colada, triple chocolate brownie, oatmeal cinnamon raisin – but none compare to the ones sitting on my countertop. I may be biased, since chocolate and coffee are definitely in my Top 5 food obsessions, however I dare someone to question their perfection. Bowl of deliciousness, waiting to happen. The idea of a cookie that you have to first bake into logs, then cool, then cut then bake again may seem a little daunting to some people. But once you make them once, you’re on your way to being a pro-biscotto (totally just made that up, but I think it works). I found this recipe on Dirty Gourmet, now one of my favorite food blogs. 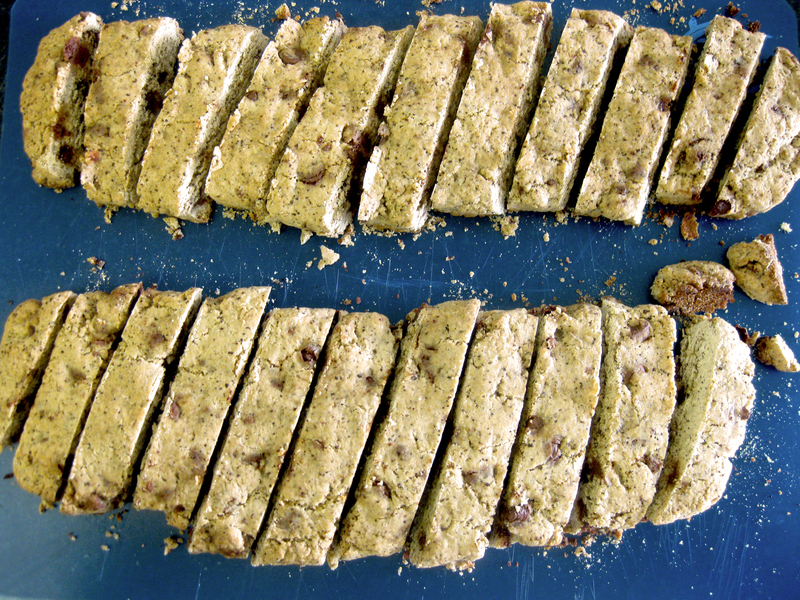 The recipe suggested that you brush or spray your baked biscotti logs with water before cutting them into slices. The added moisture will help you cut them easier, with a lot less crumbling! I had never done that before, so I was a bit scared. But I took a few deep breaths, brushed those babies down and wahhh-lah! The most stressful part (at least for me) of biscotti-making became a heck of a lot easier. Great tip! Anyways, hands down the BEST biscotti I have ever made. Even the uncooked dough was irresistible. And now everyone knows what I’m giving them for Christmas! 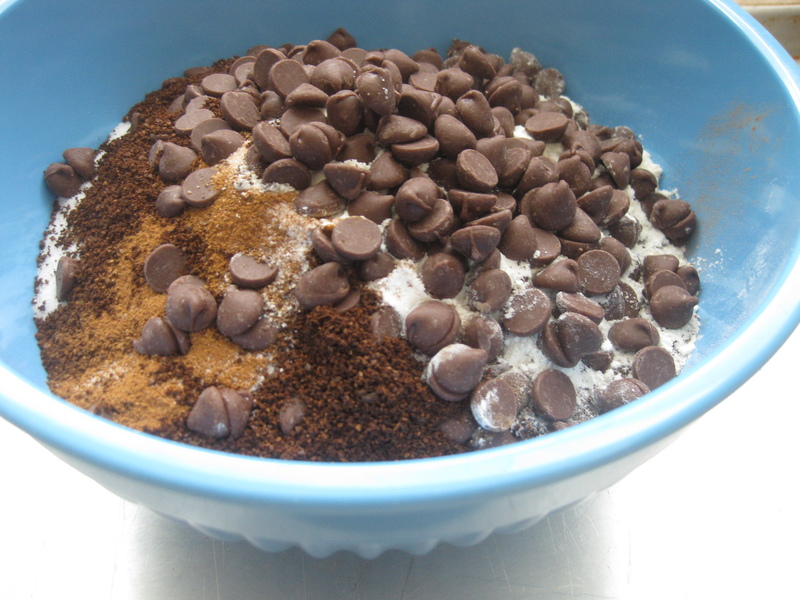 In a large mixing bowl, combine flour, sugar, baking soda, cinnamon, salt, coffee and chocolate chips. Divide dough in half. Shape each half into a log on baking sheet, about 8 inches long and one inch thick. Make sure logs are a few inches apart, as they may spread while baking. Bake for 35 minutes or until bottom of both logs are golden-brown. Take out of oven and reduce oven temperature to 325 degrees. Remove logs from baking sheet (this may be tricky…I usually use two spatulas for each log, to reduce the risk of breakage! These were pretty sturdy though. My kind of biscotti!). Cool for five minutes, then lightly brush/spray tops of logs with water. Cool for another five minutes. Using a serrated knife, cut logs into 3/4 inch thick slices. (I usually cut them on an angle, making them look longer/more divine, in my opinion.) Arrange the slices back onto the baking sheet, cut side down. Bake for 10 minutes, then turn each slice over and bake for another 10. Remove and place on cooling rack. Pour a big glass of milk or a mug of coffee. Dip. Devour. Give your friends a bite! I can already smell those wonderful biscotti coming from my oven!!! What a great reason for looking forward to your next visit home!!!!!! Of course to see your beautiful face surpasses all other reasons!! Enjoy the baking! AnneMarie this is a test for your mom. I’ll read your blog later and get back to you. Revisiting happier times: Save the Dates!